and as the moon brightened the sky. Pumpkin Pie was the star of the dinner show. Do you see her halo? 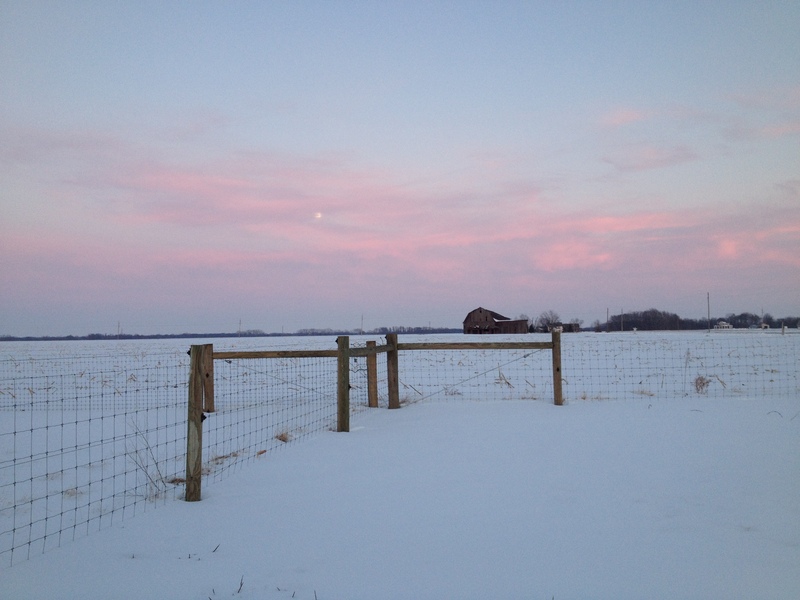 This entry was posted in Boer Goats, Country Living, Polled Herefords and tagged Boer goats, chores, Country life, farm animal photos, full moon, Illinois winter, Photo Friday, Polled Hereford, Sunset. Bookmark the permalink. I love her bangs!! 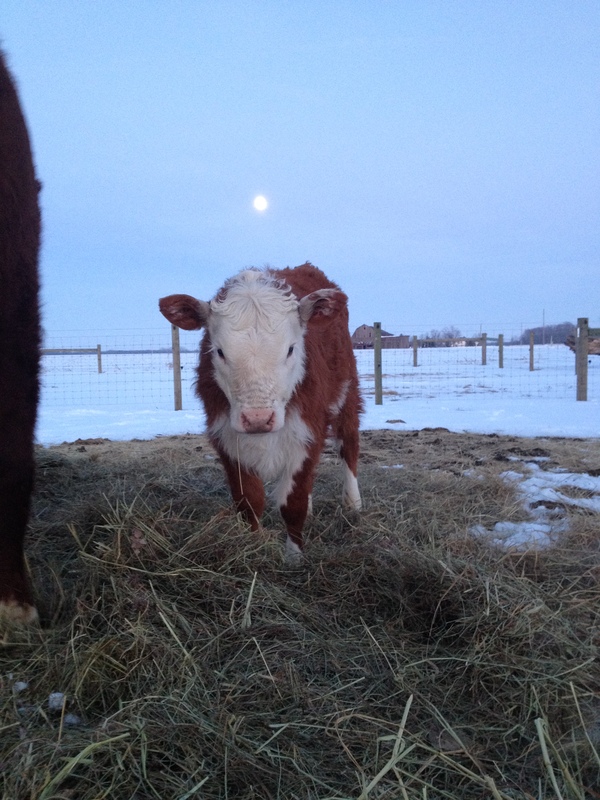 She is one perfect calf!!! 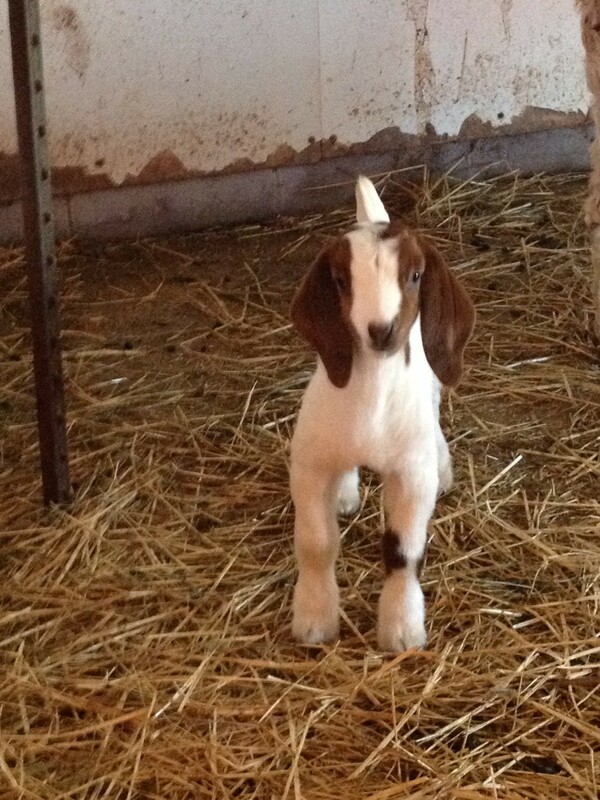 I am looking forward to seeing her play in the GREEN pasture! Cute little thing, isn’t she? 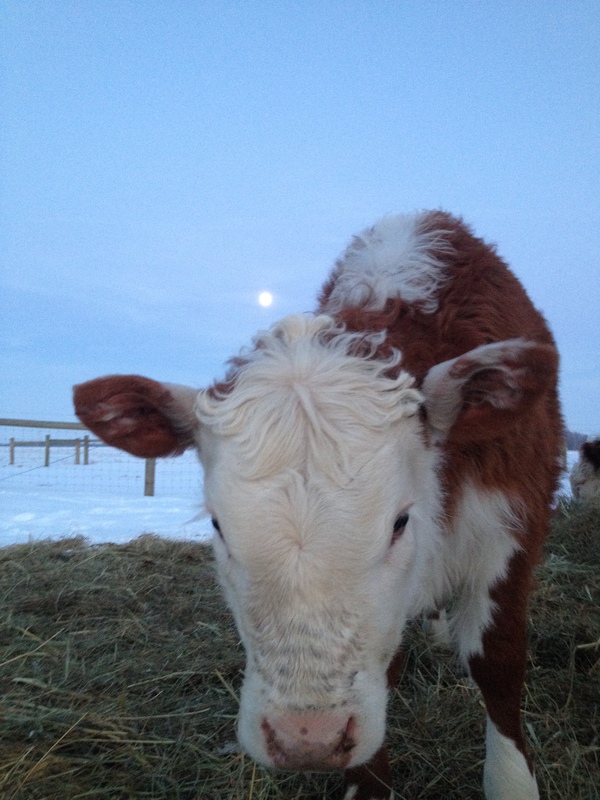 Anything that makes me smile during chores this winter is appreciated!! 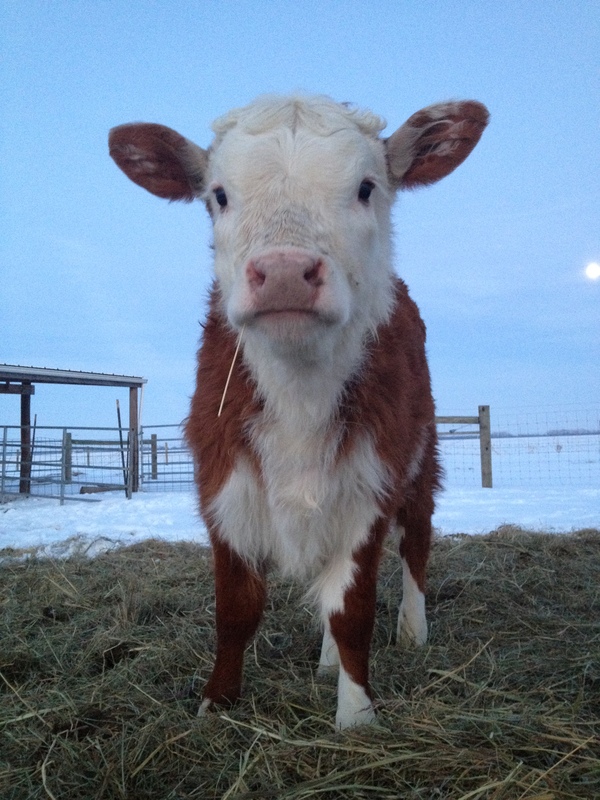 I like those bangs, too, and she’s not even giving you stink eye. She was showing her sweet side! You have some beautiful animals!